Love Is Never Enough explores the most common problems in marriage: the power of negative thinking, disillusionment, rigid rules and expectations, and miscommunication. 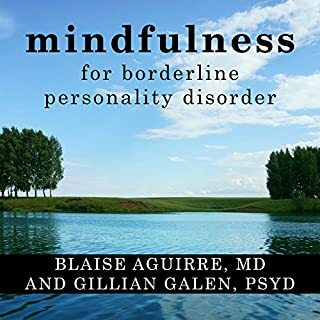 These issues can be approached through cognitive therapy, in which thinking through and reasoning are used to counteract the poor communication that so often erodes relationships. 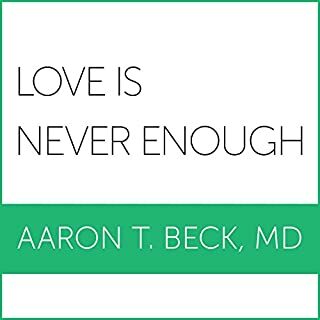 With eloquence and accessibility, Aaron T. Beck, MD, shows how effective communication can restore and strengthen the ties and bonds between couples. You hear and read a lot about ways to improve your relationship. But if you've tried these without much success, you're not alone. Many highly reactive couples - pairs that are quick to argue, anger, and blame - need more than just the run-of-the-mill relationship advice to solve their problems in love. 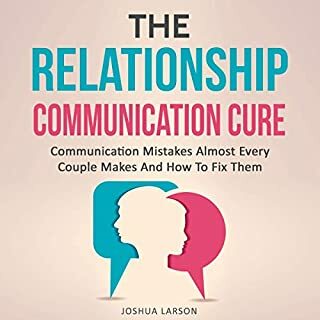 When destructive emotions are at the heart of problems in your relationship, no amount of effective communication or intimacy building will fix what ails it. 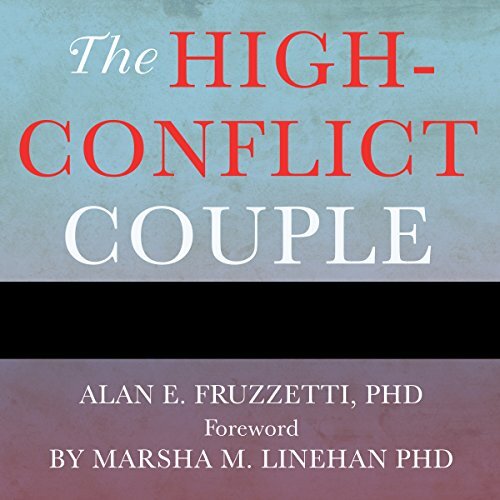 If you're part of a high-conflict couple, you need to get control of your emotions first, to stop making things worse, and only then work on building a better relationship. 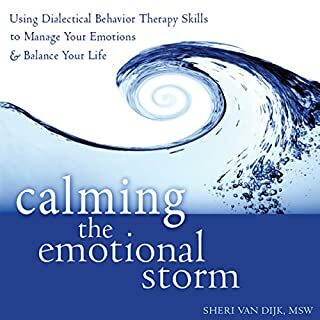 It is very hard to listen to a behavior therapy book and follow the train of thought when every other sentence has notations and references listed regarding where the data came from. Important information,I know. You have to credit your sources, and reference appropriate studies and papers, however, in the middle of an audio book is not the place for that. It breaks up the whole flow of the message and makes it very hard to listen to or care about. I am 30 minutes into a 6 hour book and am already annoyed. I will attempt to continue and change the overall and story ratings when done, but performance will stay at 1 star. 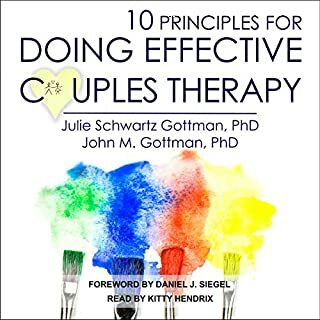 Recommended to anyone not just couples with problems. I'll listen to it again. Great purchase! Every Morning I listen to this audiobook while getting ready for work. I have been in couples therapy for 1.5 years with a man that is bipolar and has a personality disorder. This book has been perfect in getting my own self esteem back on track. I expected better for someone that worked so close to Marsha Lineham herself. In my opinion the exercises and examples were not very useful and the narrator made everything a million times worse. I would suggest listening to a sample before buying and figuring out if you will be able to tolerate Vanessa's reading where she ENUNCIATES every SENTENCE as if it were CRUCIAL. Every-single-sentence. Too much. Some advice was useful though, like how important validation is, and the "practice in your head how you are going to respond to conflict with validation before you actually do it in real life" and the "accept what you cannot change by changing its meaning". If you are an avid reader, you might not lose to much by buying it and maybe gain some, but if this is the only book you are going to read about couples, I suggest looking for another book. tangible practices offered to break away from old patterns. listen through to get the full concepts. Great Book with Exercises and Directions! This was a great book based on research with practical applications you could practice in interactions. As previous reviews have noted, it is a bit hard to follow with the unnecessary notations. But a good book nonetheless. I enjoyed this book and found it insightful and useful. 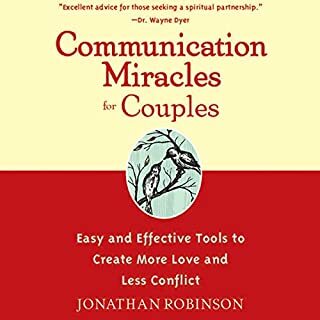 my only reservation and the reason it didn't get 5 stars is the fact that it doesn't make it really clear that if a couple are trying to find solutions to habitual conflict they should only ever this program if both are committed to the same outcome and both follow the program.